I recently stumbled upon a small shop for umbrellas and parasols. Unfortunately the curt woman behind the counter wouldn’t allow me to take any photos inside, so I stopped outside after 3. Since I didn’t spend enough time inside the store I can’t really share any information on it, but I can recommend Hoopla Parasols started by Tillie Policastro and based out of Austin, Texas. If you’re looking for a high-end umbrella or parasol check out her website. Thanks for mentioning Hoopla Parasols! 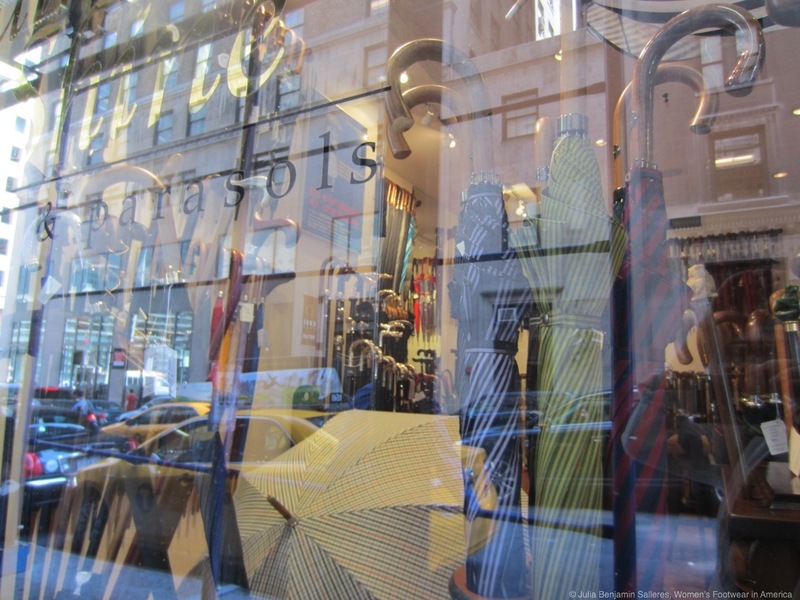 You are currently reading Hoopla Parasols at Women's Footwear in America.